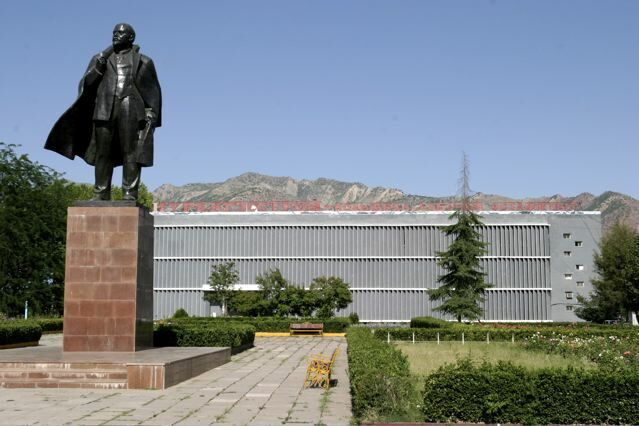 DUSHANBE, Tajikistan -- Every district's main town here has a government center, where the functionaries of the police, the commissar, and the KGB are rolled together into a small building that often looks shuttered. Most district centers in this remote corner of the former Soviet empire still bear statues of that discarded deity of distribution and allocation, V.I. 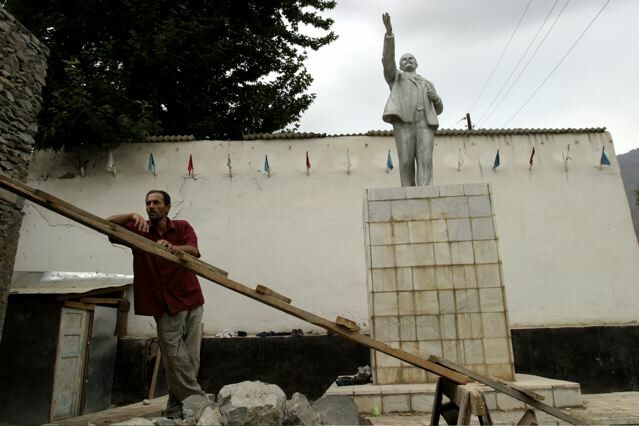 Lenin, as if they are waiting for disposal instructions from the dysfunctional capital. 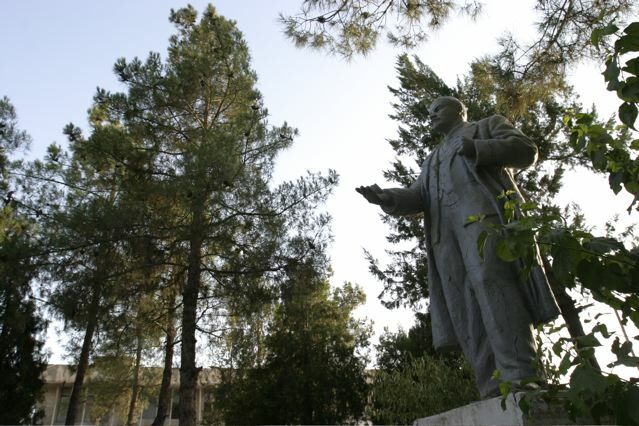 Perhaps Vladimir Ilych still stands in parks and squares because in Tajikistan, the poorest former Soviet republic, life was markedly better under Moscow's rule. 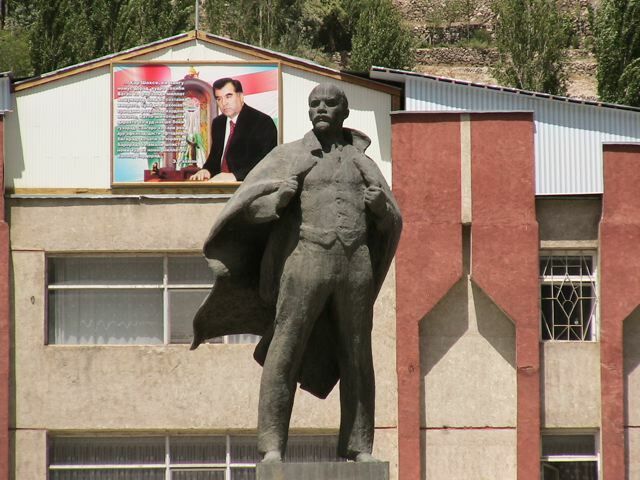 Unlike other corners of the empire, Tajikistan is clearly fond of its Soviet past. The hammer and sickle still embellishes the friezes of most state buildings -- featuring prominently, for example, on the Parliament building in downtown Dushanbe -- and a statue of the dreaded founder of the KGB, Felix Dzerzhinsky, menaces the capital city's traffic from a podium directly across the street from the country's mammoth KGB complex. With half of working-age males employed abroad, and an economy based almost entirely on remittances and drug trafficking revenues, it is not uncommon to hear about the benefits of communism. 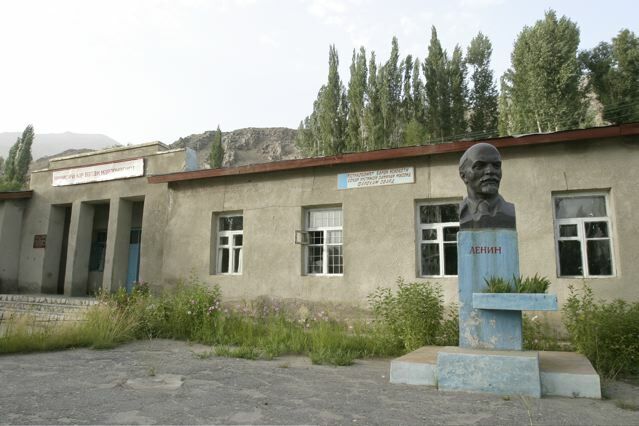 On the border with Afghanistan, these icons of the proletariat tend to face southward, across the frontier, as if Lenin's stern gaze alone might turn the Muslim masses away from their opiate and into communism's red fold. Still, one look across the Pyandj River separating the Tajiks from their ethnic kin in Afghanistan, and a local remembers that things could always be worse. All photos by David Trilling.